Our innovative Virtual Tabletop angular.js application is a fully customizable tool that will put you firmly in the diner’s seat. 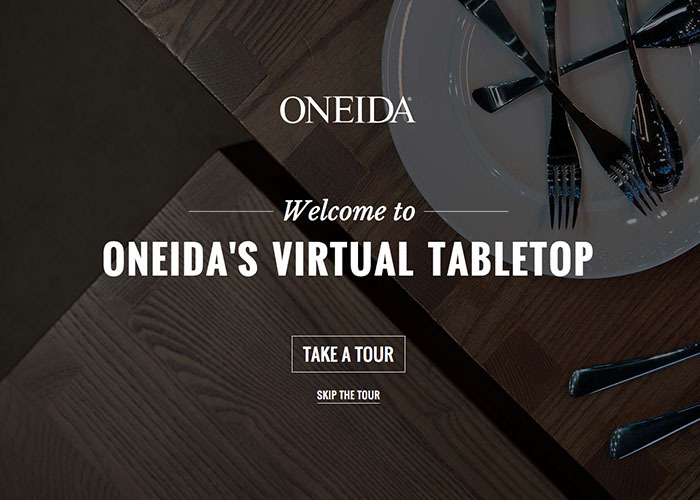 It allows you to mix and match Oneida's dinnerware and cutlery ranges, creating a complete customizable place setting to help you choose the products that will work best for your operation. 500 products, a goodly amount of variations and categories closed in simple backend software with the amazing skin.